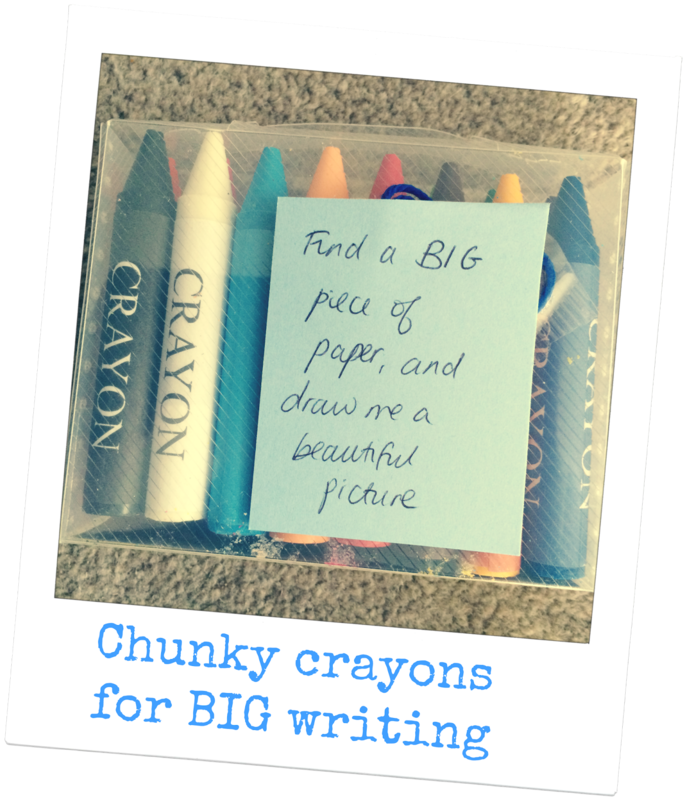 When we are thinking about how to help young children become successful writers, there are a number of steps, or pre-requisites, which must come before the expectation of a good pencil grip and the ability to form letters. The ability to mark make starts with the physical development of the child - esssential elements include building on their gross motor skills first and foremost before moving onto fine motor control and eventually pencil grip. Building up the muscles in their chest, shoulders, arms and hands is a really important process that young children must have the opportunity to go through before being expected to sit and form letters or write sentences - and this starts right at the beginning, through the use of 'tummy time' with babies. This blog post isn't going to focus on these larger movements, I'll save that for another post! This piece will hopefully give you some ideas of the kinds of resources and activities you can do with children who are ready to start exploring mark making, or who are also getting lots of gross motor development alongside their mark making opportunities. The key, as always, is to keep things fun and interesting! I originally started this activity box for my nephew who has just turned 4 years old and will be starting Reception class in September. Like a lot of young children ( especially boys!) he isn't really that interested in mark making and I wanted to see whether I could encourage him to at least have a try! 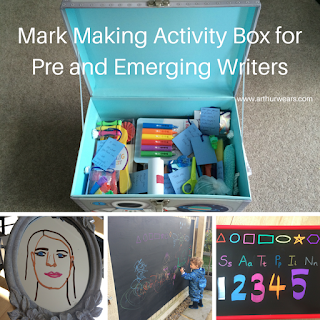 Of course, if i was looking at this from the point of view of making his environment 'mark maker friendly' ( ie, his classroom or other setting) then I would be looking at providing provision areas to encourage writing and mark making in a fun and exciting way. For example, a Maths target practise area where they can shoot and score, with an expectation of recording the numbers they hit.....an 'Accident Reporting Station' for when they hurt themselves....a Wizard Writing Cave to encourage spells, potions and all other manner of writing opportunities.....or these fun homemade DVD whiteboards where you can change the name/words/pictures underneath. These pens use high density chalk ink, working a little bit like whiteboard pens, but they dry within minutes to a chalky finish which doesn't wipe away until you use a wet cloth. 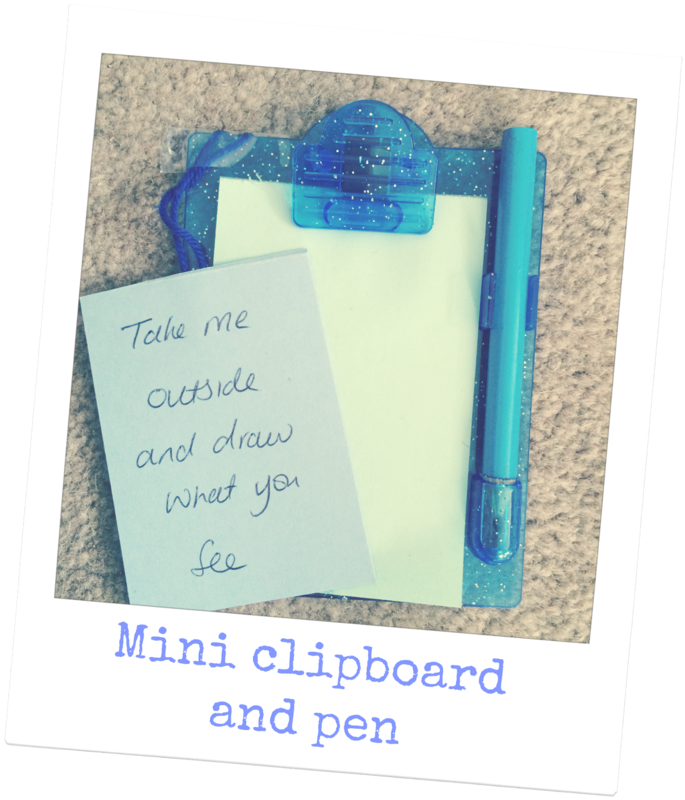 They are made for use on non-porous surfaces such as glass, plastic, whiteboards and chalkboards and we had SO much fun testing these out! They do take a few minutes to get the ink flowing at first use (by shaking the pen and then pressing down the nib, Arthur loved to help with this) and then we were well away. We tried out the regular sized markers, the metallic pens and also the jumbo chalk pens which were perfect for little hands to grab hold of! Chalkola Chalk markers and Chalkola Jumbo Chalk markers with a 15% discount for my readers by using the following code at checkout: 15OFFSTR. 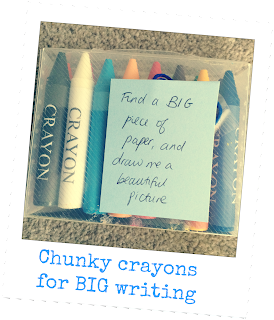 I am also giving away a set of 21 Chalkola Chalk pens to one lucky reader - just follow the steps in the Rafflecopter giveaway at the end of this blog post. 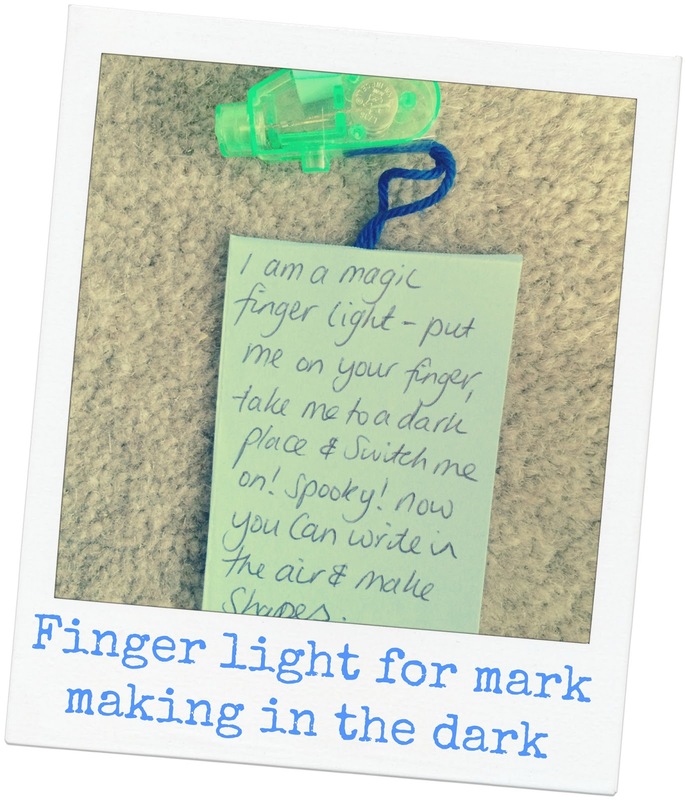 This actually came from a set of spooky finger lights for halloween but I thought this would be a great way to encourage children to make letters, shapes, rotations etc in the air when used in a dark room - Arthur loved this and it worked SO well... You can buy the Spooky finger links on Amazon here. 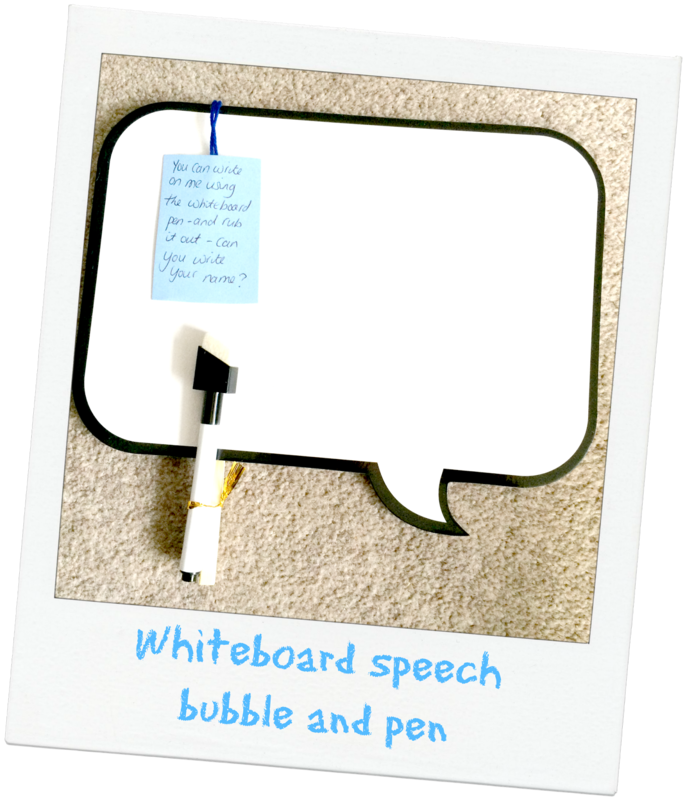 A good one to combine with ICT skills in the form of 'selfies' ( we like to use the Vtech Kiddi camera available here) a great way to encourage writing....especially if you let them use words you may not always say out loud ( yes, thats 'poo' obviously!!) 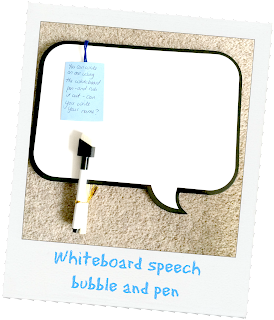 Speech bubbles available to buy here. This one is a similar idea to the finger lights above, but can be used in the same way as you would a 'sparkler' on bonfire night....encourage those BIG shoulder and arm rotations to help build up those gross motor muscles for writing. 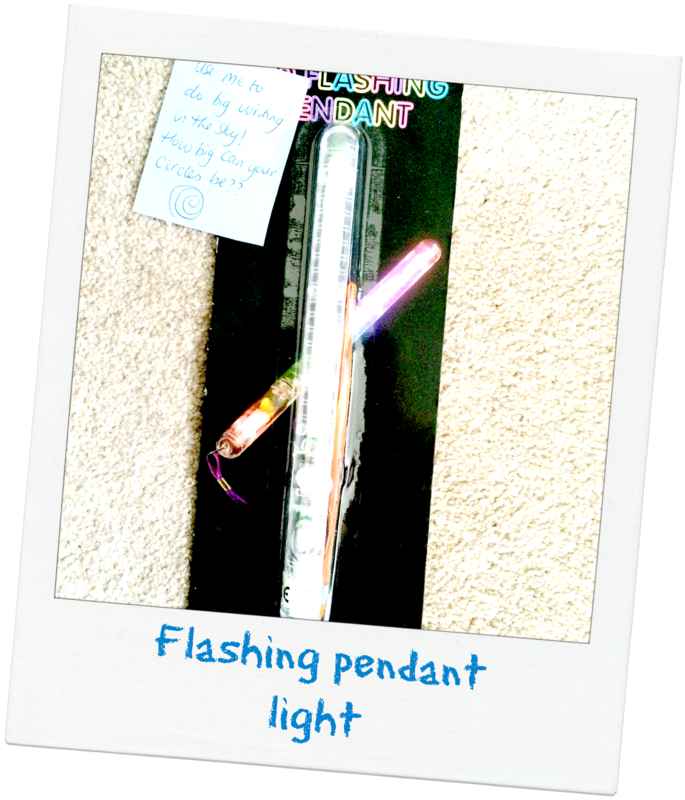 Flashing glow sticks are available to buy here. 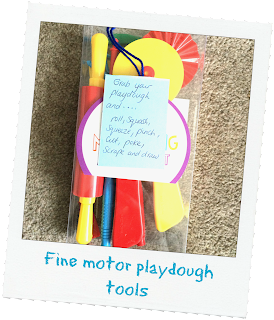 Playdough is a brilliant tool for helping build up the muscles in the arms and hands and these tools are brilliant at helping with the fine motor control needed to become a successful writer. Mark making isn't just about writing using pens and pencils, marks can be made almost anywhere using so many different mediums. 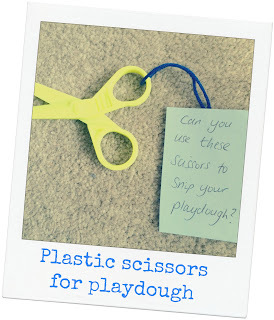 Playdough tools are availbale to buy here. 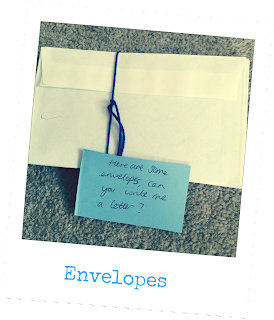 Why not let them pretend to be 'mum and dad' or play at being 'Teacher' by giving them real resources to use such as envelopes to send letters and cards. 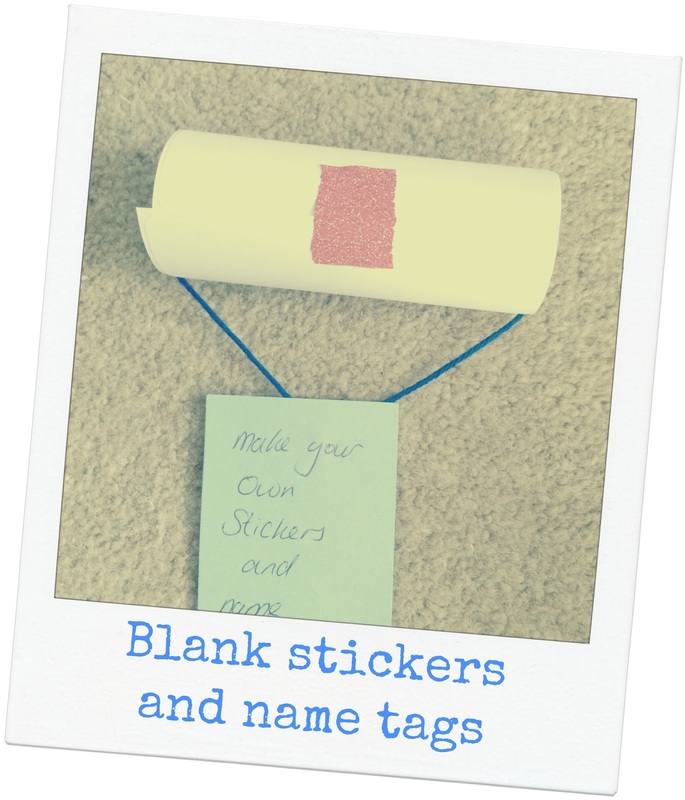 Everytime I added these into my classroom resources the amount of children wanting to write went crazy! 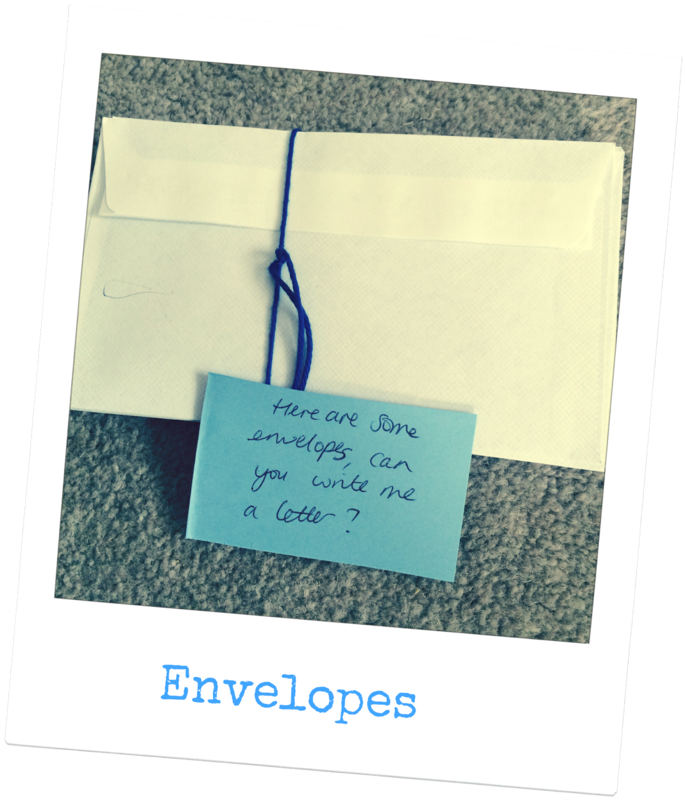 Add in a post box somewhere and you will be well away....writing for a purpose easy! Kids wooden post box available here. Making bathtime AND mark making fun - Arthur loves these! 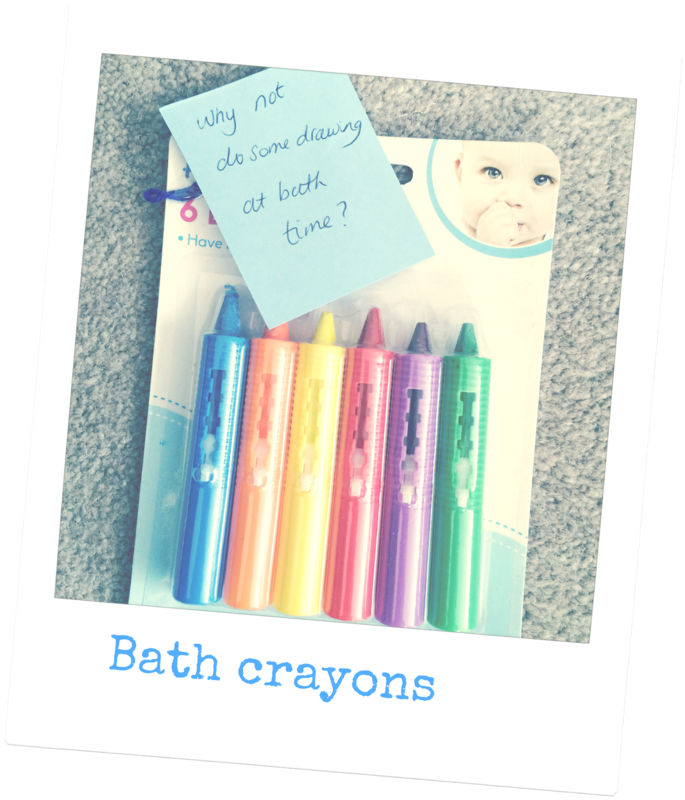 My advice would be to avoid tile grout and stick to the bath or actual tiles though...bath crayons available to buy here. 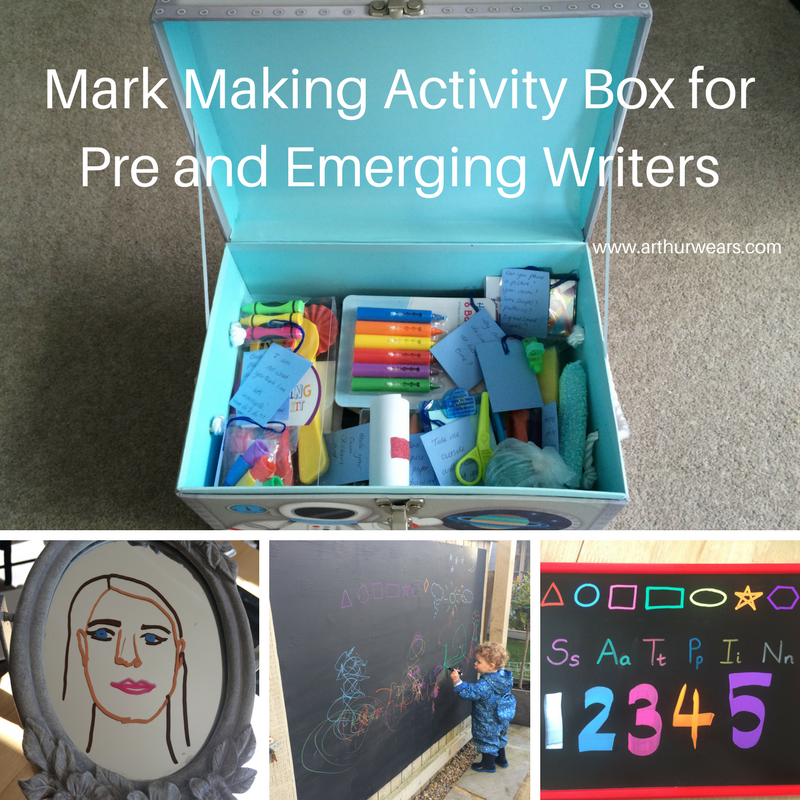 Mark making is no fun if you have to stay in one place - most little ones like to do things 'on the go'! Why not go on a bug hunt outside, a car tally or take some food orders in the restaurant?? 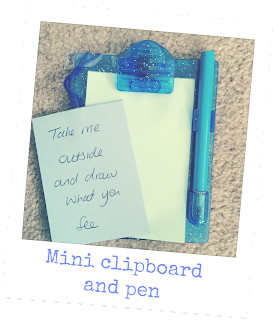 Party bag sized clip boards available to buy here. Great for developing fine motor skills, or just making mark making a little bit different!! These finger crayons are available to buy here. 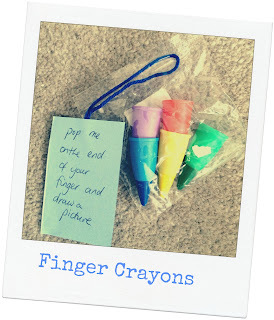 You can also buy finger painbrushes here which are just as fab! 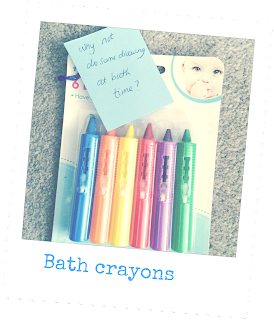 Let them investigate and work out why these 'crayons' don't make marks like they expect....why not write some words or draw some patterns in pencil and encourage them to make the marks disappear by drawing over the top? 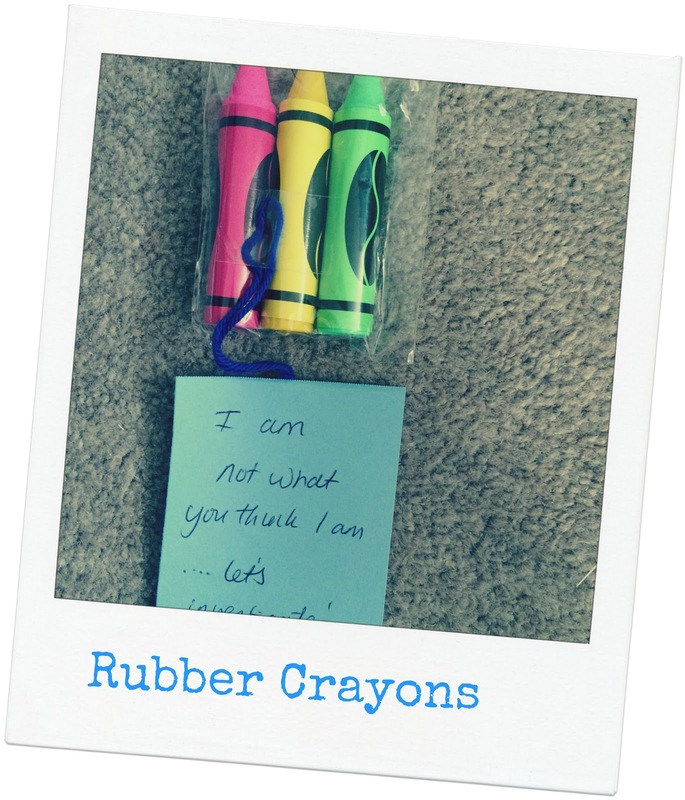 Crayon shaped rubbers available to buy here. Who doesn't love a sticker?? Even better if you can make them yourself!! Which little one could resist this mark making opportunity?? Easy peel blank labels available to buy here. Again, keeping mark making exciting requires a variety of exciting tools to make different patterns, thin and thick lines and using different mediums such as paint, water, cornflour etc. These paint brushes and sponges are perfect and you can buy a variety of similar resources here. 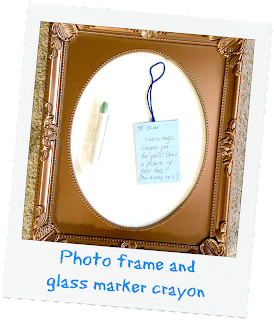 Would you like to win a set of the Chalkola Chalk pens and metallic markers for yourself? You can enter via the rafflecopter link below. Competition ends on 14th April 2017 and is available to UK residents. Full terms and conditions are available within the rafflecopter link. Lots of different ways to enter and you can choose as many as you wish! Good luck! 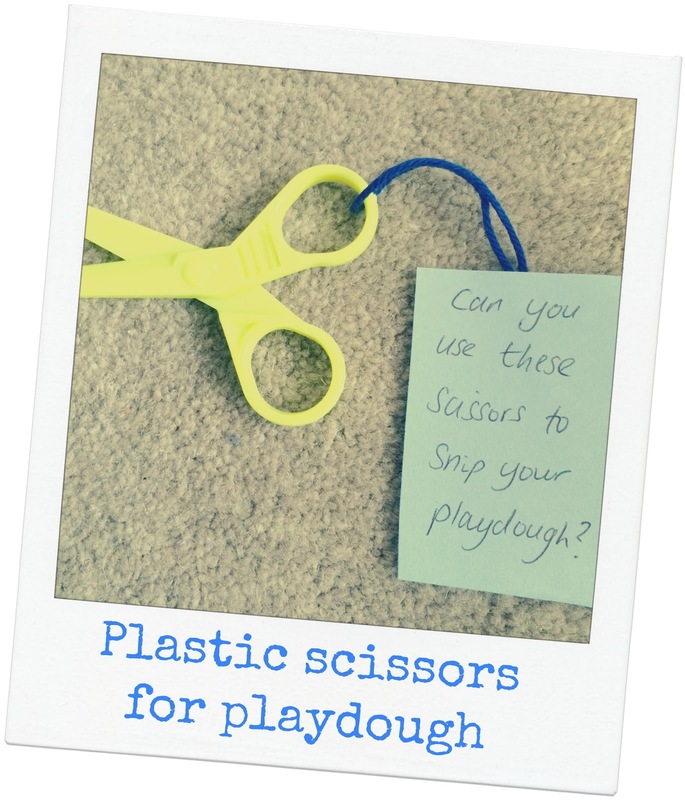 You can find more of my learning through play posts here. Disclosure: The Chalkola pens were sent to me in return for an honest review. Some of the product links in this blog post are affiliate links - this wont cost you any more, but I may earn commission on any sales made within 24 hours of clicking the link. I thhink these markers would be great for labelling and decorating jars and storage containers and for crafting with my daughter. I would use these for labelling my homemade jam jars and also for decorating bottles of wine to give as presents. I also think my girls would enjoy using them to decorate their mirrors in their rooms. 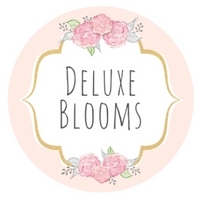 These would be great for decorating our spring bulb plant pots! Will love to win for my children. It will be great fun and discover their creativity. I'd like to win them for my nephew. These are fab! My daughter would love them. My little boy is just practising how to hold pens, pencils and chalk properly at the moment so he'd love the Chalkola. I would like to win these makers for my daughter. She would have so much fun with them. I would love to win these for my 3 children to use and paint me some lovely pictures. Some great ideas here. I only recently discovered the chalk pens when a friend's child brought them over. I now have some beautifully decorated windows and bought some markers for us too! I would love these for my two great nieces in South Africa. I will get my brother to make his granddaughters a lovely fence board. I love these so much that I would be winning them for my boys to do even more craft projects around the house. 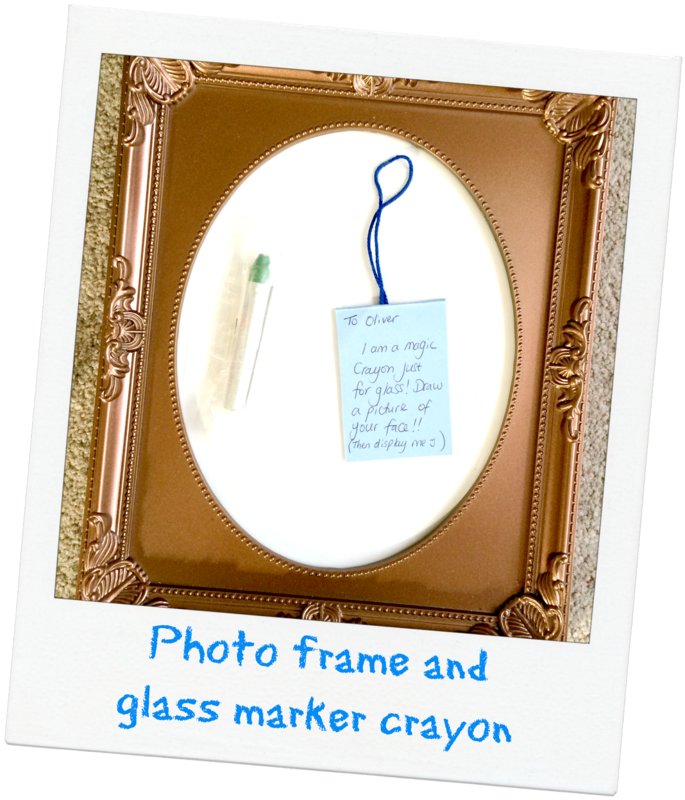 These markers would be great for labeling storage containers and leaving notes on our message white board. I would really love these for my daughter. These look great! I'd love to win them for my 6 year old Bella! I would love to win these for my son's school. They have suffered greatly with funding cuts and are increasingly relying on volunteers and donations. 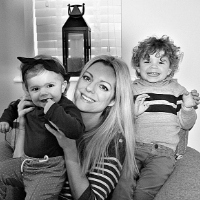 I would absolutely love to win for my two youngest daughters aged 6 and 8. Letting them draw on mirrors, doors etc and being able to easilly clean it would definitley trump having to keep painting over their wall drawings ... best of all they keep writing their own names then wonder how I know who is to blame lol. I would like to win the prize for nephew. I would love to win them for my children.